MARCO BROCCIA, THIS IS YOUR LIFE! Marco joined The Dial on the 21st of November 2015 as a member of the potwash team. We saw the potential in him from the beginning and he soon began his journey as a chef. 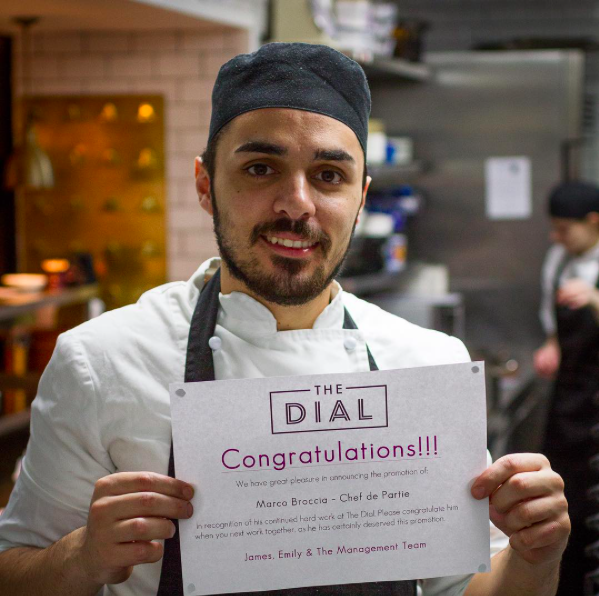 He worked hard and started a salaried position as a commis chef on the 26th of August 2016. You can usually see him working on the main course section. He particularly enjoys the style of the food he creates at The Dial, and enjoys being part of the chef team.